Everyone is trying to cut back on sugar and Low GI recipes are one of the ways to do this. Glycemic index is a measure of how fast food is converted into sugar in the body. Foods are scored out of 100, with 100 being the highest level. Its hard to replace sugar and still get the same texture. I have had more success with cakes than biscuits. The best artificial sweetener I have found for baking so far is sucolin, its not too sweet. If you are just after a low GI sweetener Agave syrup is a natural low GI alternative. Apple puree can be used to replace some sugar. White flour has a very high GI. By switching to wholemeal, spelt or rye flours you can lower the GI score. Oats can also be used to replace some flour in biscuit or cake recipes. Nuts are also a good way to replace flour or butter in a recipe. They aren’t low calorie but they are low GI. Some of my favourites are walnuts, almonds, peanuts, hazelnuts and pecans. I was diabetic when I was pregnant and really missed sweet treats. 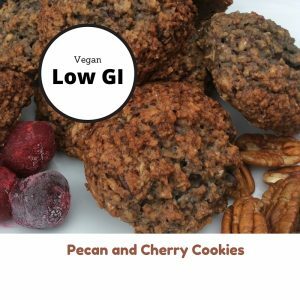 Check out some of my favourite Low GI Recipes. This is my favourite low GI recipe. 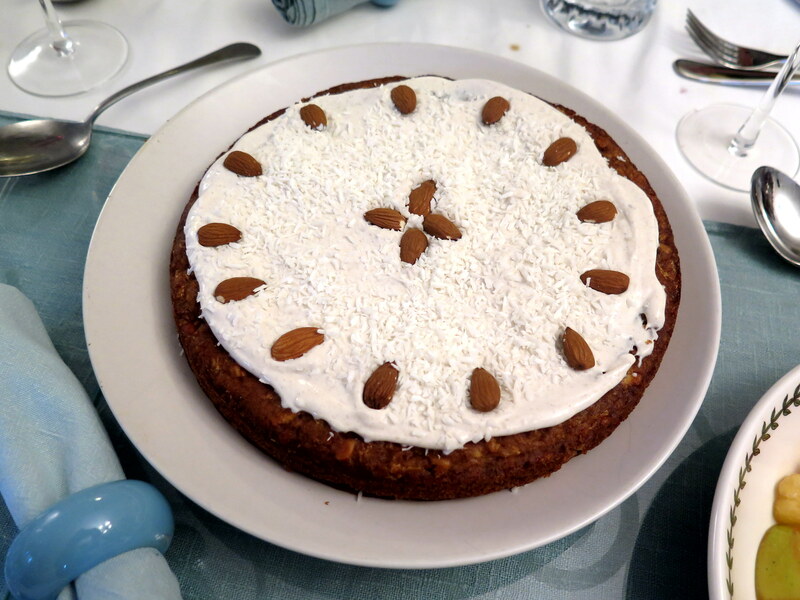 It is made with an apple and sucolin to replace the traditional brown sugar. 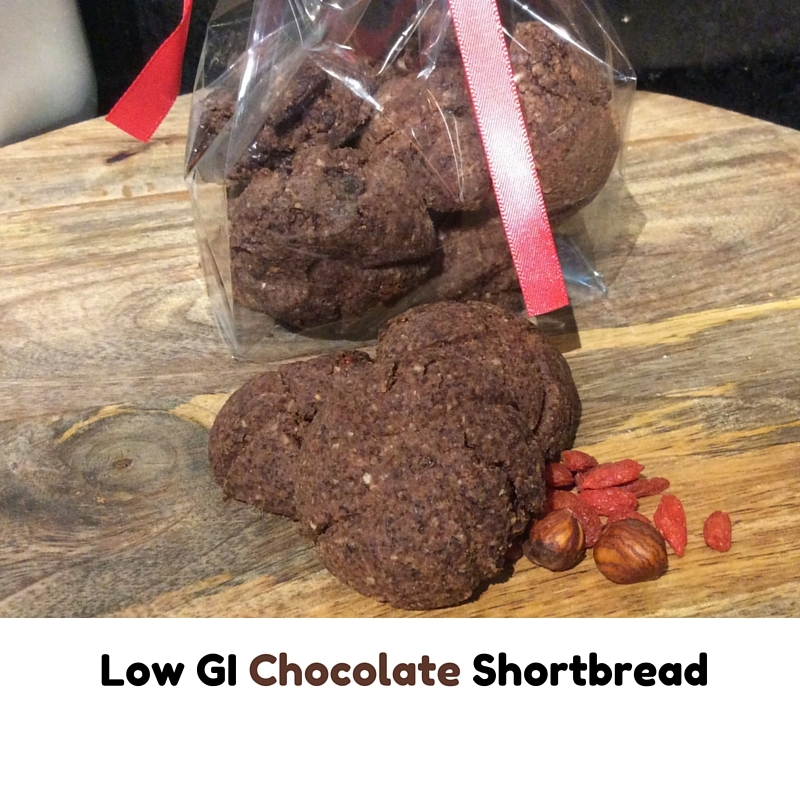 A low GI version of the Scottish classic Low GI Chocolate Shortbread. With Goji berries for extra antioxidants. 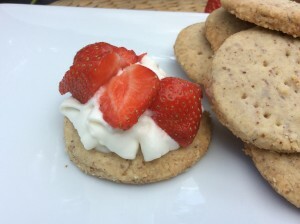 These Low GI Hazelnut Shortbread can be used as a base for a cheats cheesecake. Pecan and Cherry Cookies not only are these biscuits low GI they can also be vegan too. 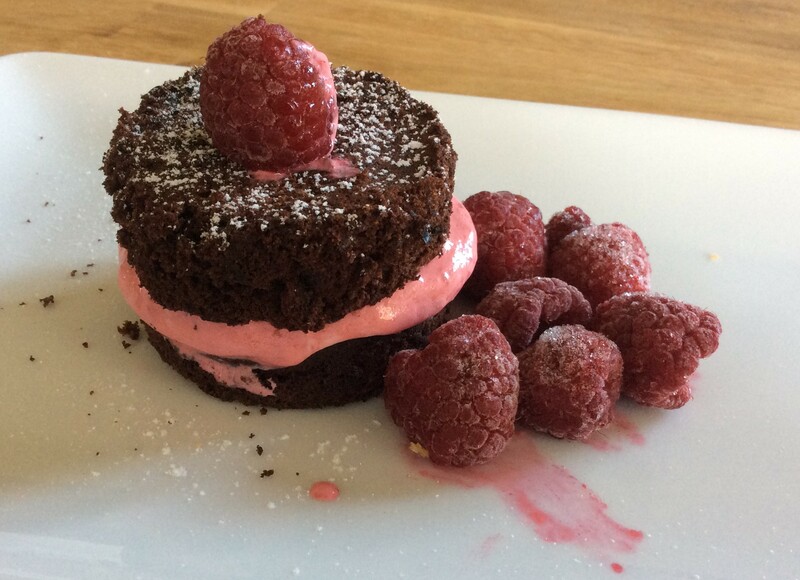 Chocolate and Raspberry Cakes not only are these low GI they are also gluten free too.